Here you will find answers on the most important questions related with a seeking for a job in France as a foreigner. This short guide for foreign jobseekers in a Q&A form will give you answers on a questions like how to find a job, do you need work visa, what are the best paying jobs in France, is it necessary to speak French, etc. How can I get a job in France? Employers will always give a preference to candidates who speaks at least a little French. You can start learning with the smartphone apps, online videos or you can hire a private tutor. There are numerous job listings online, just type in Google search phrase like „job listings in France“, „French job listings“, or something like that. You can also consider working with a recruiter who works with different types of professionals and candidates who don’t speak French as their native language. After you have been submited an application, it can take around three or four weeks to complete the process, depending on local embassy procedures and your nationality. Before you move check out costs of living in France, learn something about lifestyle and culture in France, find places to visit and things to do. What are the highest paying jobs in France? Main employers in France for the professions above are: healthcare institutions, universities, consulting companies, IT companies and construction companies. 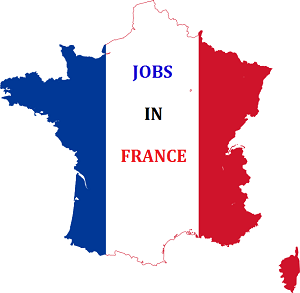 Click an occupation from the list above to get more information on how to get that job in France (requirements, benefits, working time, paid holidays, salaries and more), or you can check a list of more than 300 occupations available in France –in English or in French. What is the average salary in France? What is the minimum salary in France? According to Eurostats minimum gross monthly salary in France for a full-time employees is 1.498,47 EUR. Is it possible to get a job in France without speaking French? Yes, but if you are a foreign national and you are not fluent in French, your options in France are limited to job vacancies for low skilled employees and in an international companies that use English as a business language. Do I need visa to work in France? Citizens of a countries in the EU, EEA or Switzerland are free to work in France without any restrictions. 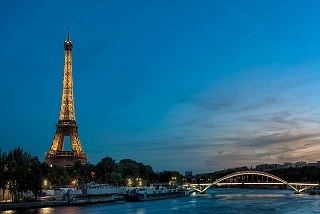 Citizens of other countries have to obtain French work visa. The first step is to find an employer that will initiate an authorisation of your French work visa. After approval, you can proceed with your visa application in the French embassy in your home country. Can I work in France with student visa? Yes, foreign students can take on part-time jobs during their course (a maximum of 964 hours a year). Before entering France, foreign students must obtain student visa to enter France and study at the university. How to become citizen of France? At what age can you work in France? Which is the best website for jobs in France?